For illustrators today; how would you like to be the cover artist of a nationally circulated magazine with several million monthly readers? That would be a nice feather in your cap, wouldn't it? Now consider this: how would you like to be the cover artist of that same magazine every month for nearly 12 years? 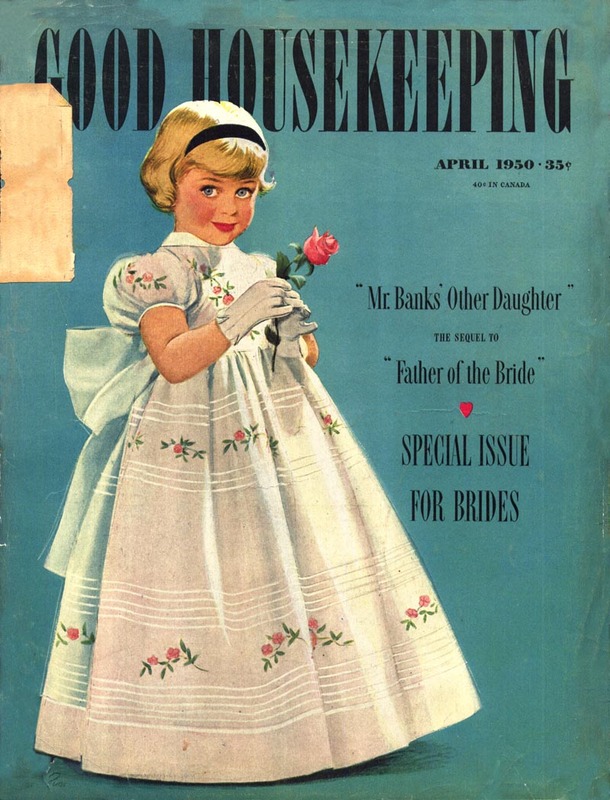 That was the case for Alex Ross, who illustrated nearly every cover of every issue of Good Housekeeping from 1942 to 1954 - an assignment that must surely be without precedent anywhere at any time in the annals of illustration history. 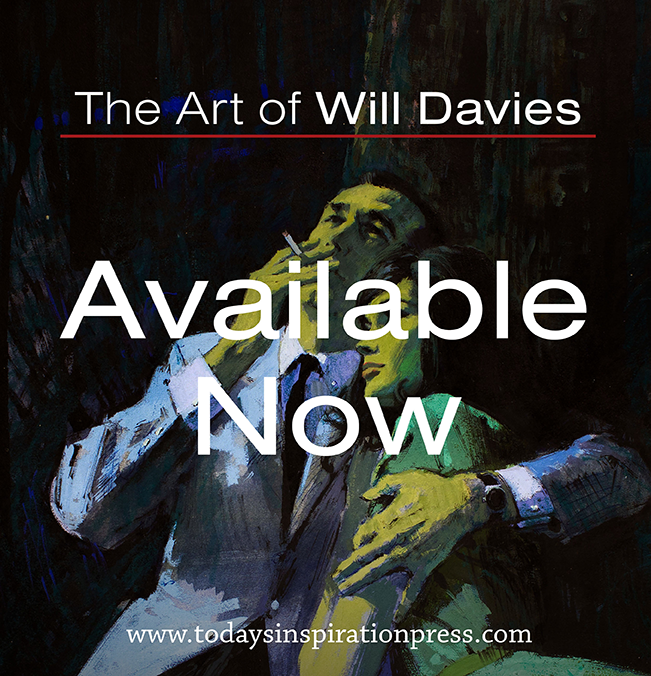 Considering the importance of magazines during that era as a primary source of information and entertainment, you can appreciate the magnitude of having been responsible for creating all that high profile artwork. 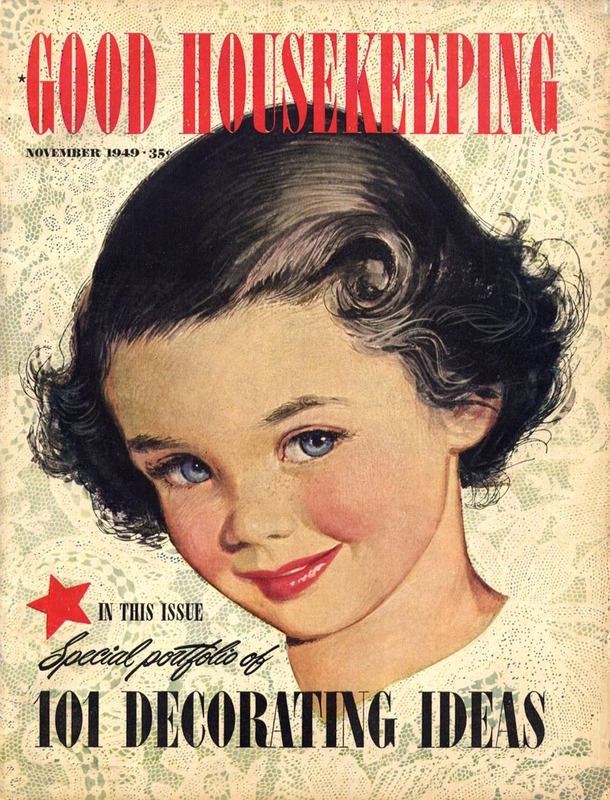 Now imagine what it would have been like to be the little girl who modeled for all those covers seen by millions of Americans every month from coast to coast. 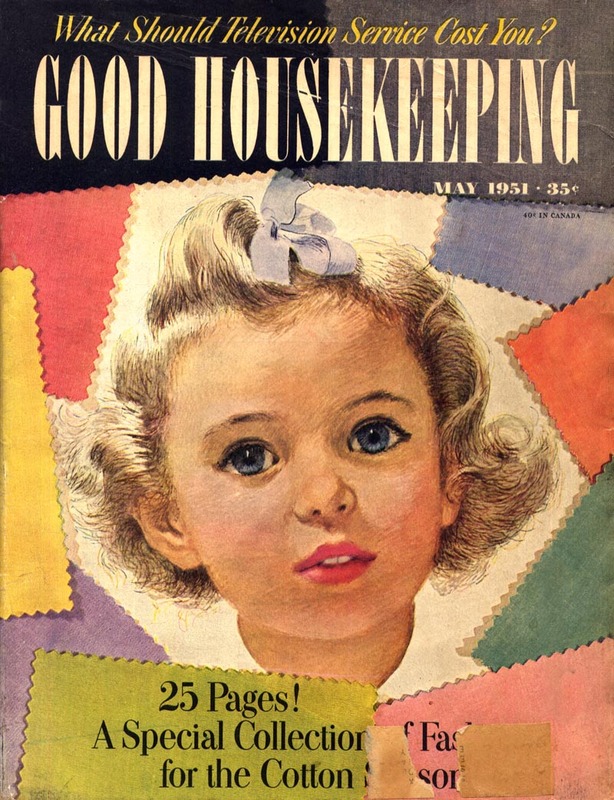 "His first big break came on April 19th, 1942 (the day I was born), when one of his illustrations was chosen from a roomful of contestants to be a Good Housekeeping cover. 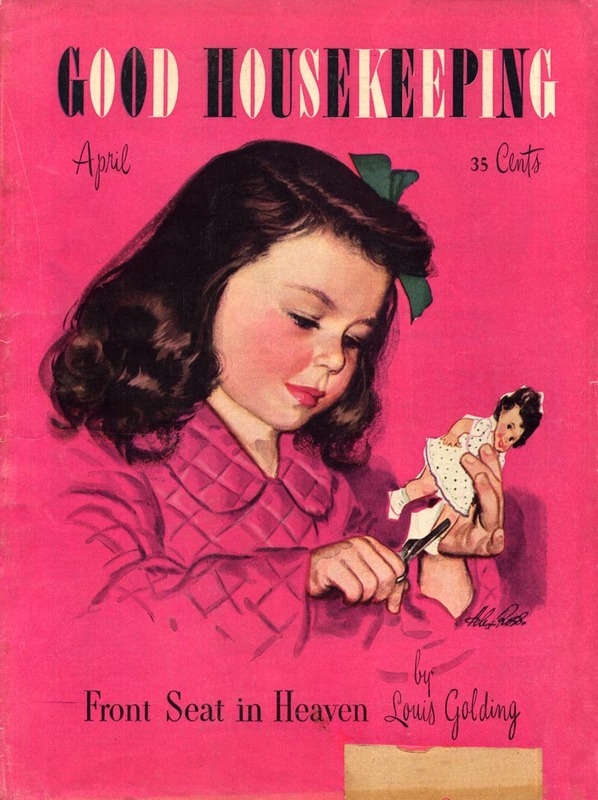 He called me his "good-luck charm," and I was the little girl (or sometimes even the little boy) on about 90% of the covers from 1942 until 1954. 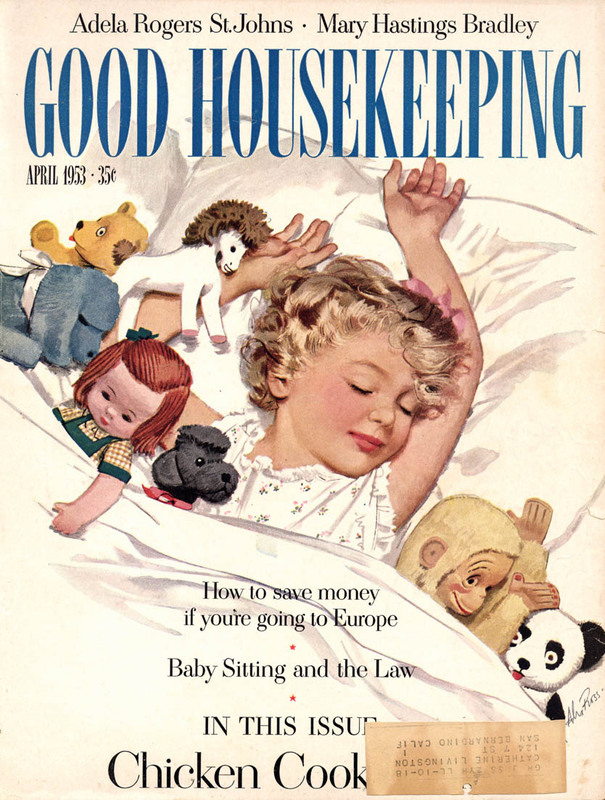 The editor of Good Housekeeping at the time was Herb Mayes. He and dad became life-long friends, and he was commissioned to do 130 more covers over the next dozen years at around $2,000 a piece." In the coming months Wendy and I will be collaborating on a thorough examination of her dad's career, something I am really looking forward to, since Alex Ross has always been one of the mid-century illustrators whose work I have most admired. Consider this just a small sample of what's to come. * My Alex Ross Flickr set. Looking forward to more info on Ross. He consistently had great command of his illustrations.. technical skill and confidence in every brush stroke. The successful mid century editorial illustrators had the skills and milage, which was a necessary requirement.. but it was the individual personality in their work that separated one from the other. Visit our Facebook page: Alexander Ross, The Original for more information. Great story. Here are some services about your houses. We provide the best services about house workers. we provide maid service and can provide the best service of maid. We also provide the service of housekeeping and its services. These services are available for any time and for 24 hours. We have the some services about house cleaning and can provide the best and cheap rate of housekeeping and house cleaning.